Located just minutes from mainland Phuket, The Village - Coconut Island is the perfect getaway holiday destination. Discovered initially by shipwrecked explorers hundreds of years ago, Coconut Island has always retained it’s sense of mystery and adventure and all of the elements of our hotel are designed to reflect this. Our Jacuzzi suites, Grand Villas and Pool Villas have been built to cater for couples, families, groups and singles with all of the options encapsulating the privacy and luxury that has come to define The Village. Despite the relaxed atmosphere at The Village, there is no need to slow down completely. 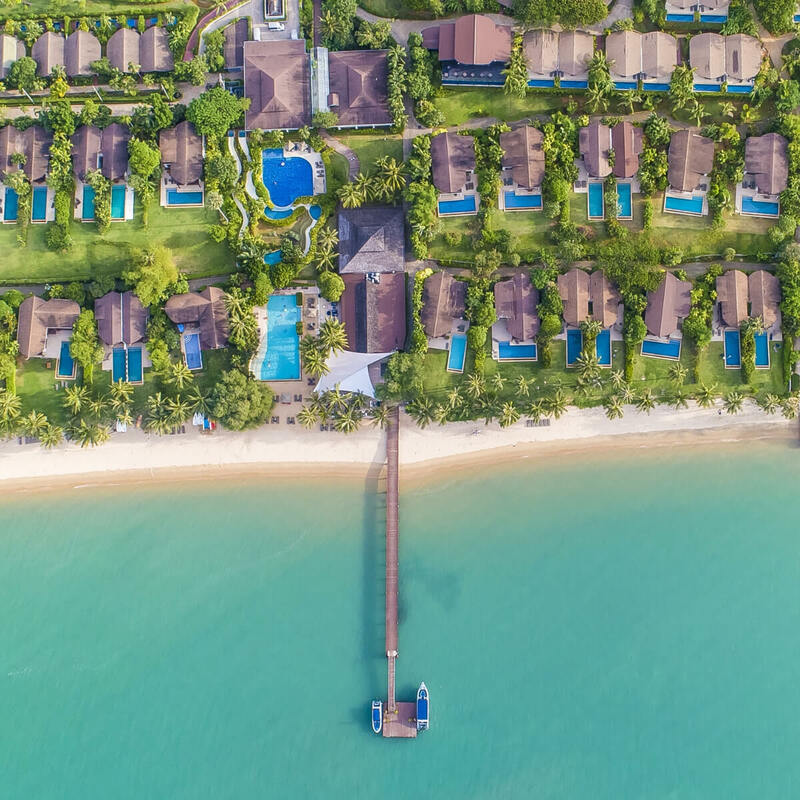 We offer a selection of high-end restaurants and bars as well as numerous fun filled activities including Mountain Biking, Sailing, Kayaking, Thai cooking courses, Spa treatments and boat trips to name but a few. When combining 5-star accommodation options with our unique selection of Island activities, our aim is simple; to give our guests the perfect blend of luxury, tranquility and adventure. At The Village, we aim to cater for everyone so we have created three different types of accommodation. Each option has it’s own unique look and feel but all are built to represent the themes of seclusion and adventure that define Coconut Island. 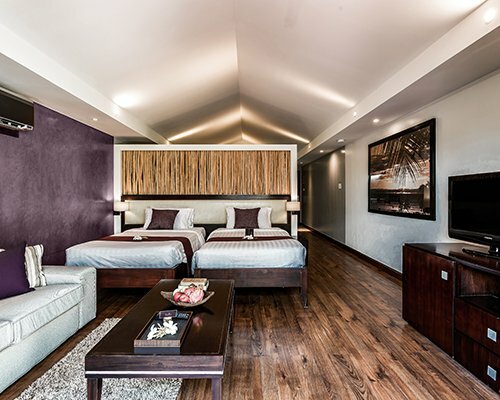 Click below for a closer look at our accommodation options. 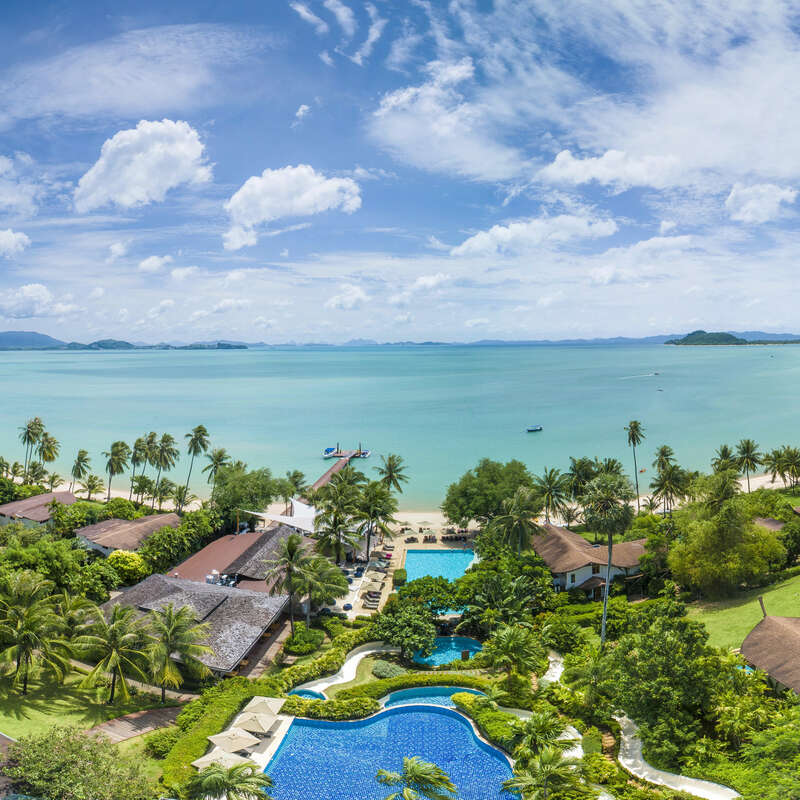 Grand Villas take full advantage of panoramic views over Phang Nga Bay. Offering comfort, space and privacy with generous indoor & outdoor living spaces. 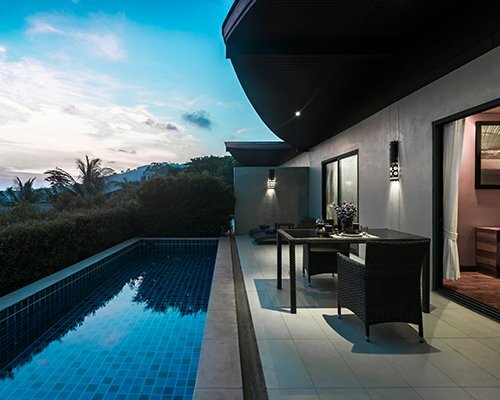 Pool Villas feature a contemporary design and a luxurious finish. An outdoor terrace & swimming pool makes this perfect for relaxing at any time of day. Romantic luxurious suites amidst lush tropical island gardens. Soak up the sun on a private terrace beside your Jacuzzi. At the Village, we want our guests to feel the tranquility and calm of Island life but not without the option of some adventure along the way! We have a wide selection of activities which are available to all of our guests - take a look at the list below!